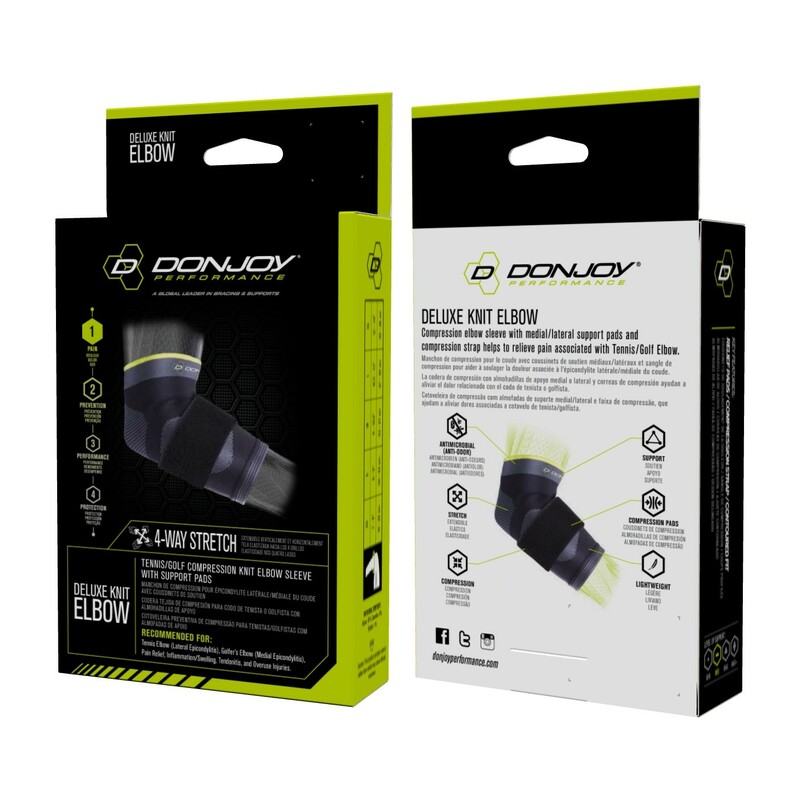 The DonJoy Performance Deluxe Knit Elbow is a low-profile, compression elbow sleeve that helps relieve elbow pain associated with Tennis/Golfer's Elbow. 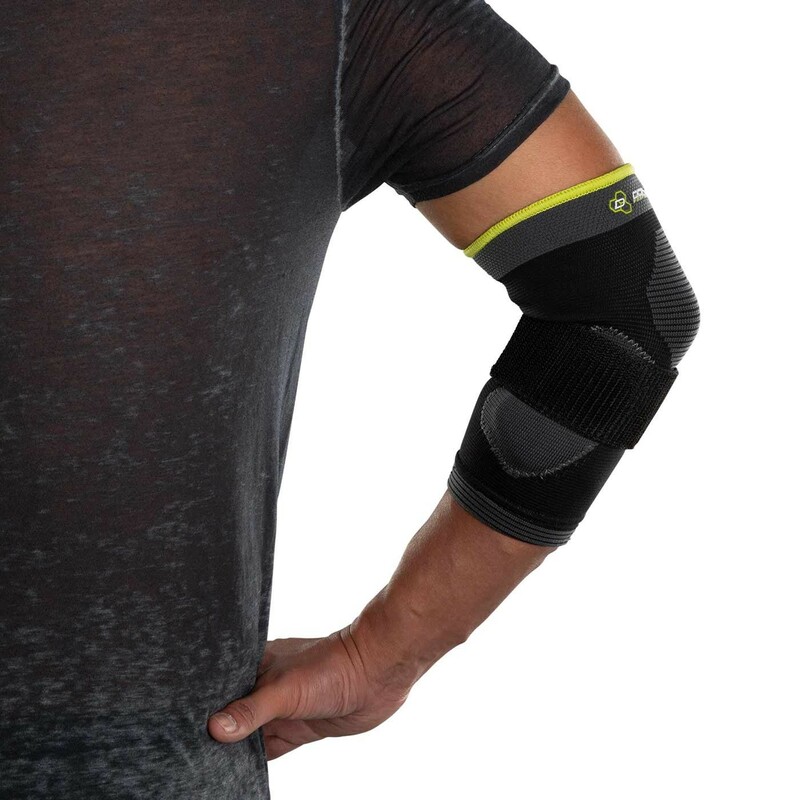 Designed with medial/lateral support pads and compression straps, the Deluxe Knit Elbow features 4-way stretch material for flexibility, circumferential forearm strap for compression, and expansion panels for a functional fit. 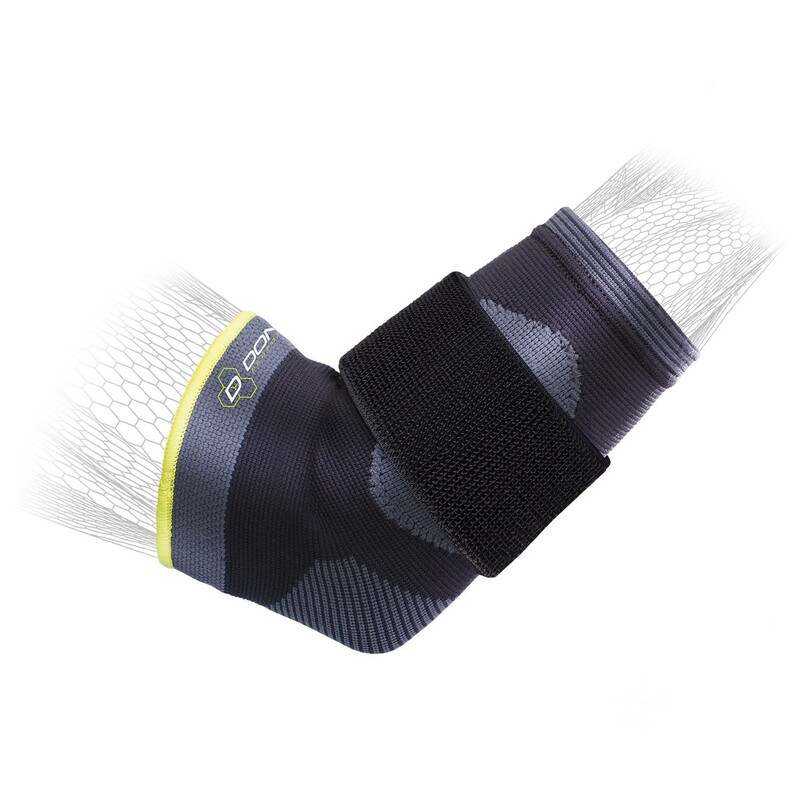 The Deluxe Knit Elbow also fights odor, stains and deterioration with Aegis® antimicrobial technology. 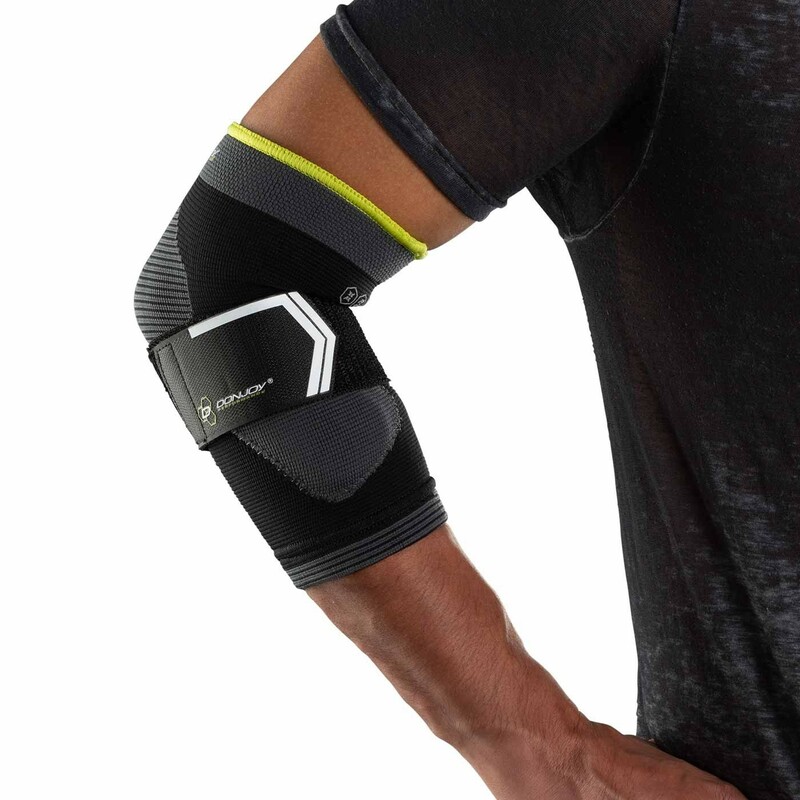 Wear on or off the field, the Deluxe Knit Elbow is easy to put on and delivers comfort and support to help alleviate elbow pain. Size based on forearm circumference. Inches 8 - 9" 9 - 10.5" 10.5 - 12" 12 - 14"